Finding a cheaper flight tickets to desired location is a difficult task. Skyjet offers you a simple and easy to access web portal using which you can find hundreds of flight options to Sao Paulo from London and other origin. As we are working with several travel agents and airline portals, we are able to provide you latest and up-to-date information instantly. Using Skyjet website, you can compare the flight options based on the rates and travel duration. If you are planning to visit Sao Paulo from London then planning in advance will help you to save money. You can avail early bird discount offers also. Skyjet also assists with family travel package to your favourite tourist location at desired dates. Sao Paulo is one of the largest city of Brazil and most of the international flights from London, UK arrive at the Sao Paulo's Guarulhos International airport. Some of the major beauty spots of Sao Paulo includes the Banespa Tower, The British Cultural Centre, and fauna & flora collection at the Parque Do Carmo. There are several art galleries, museums, zoo and plenty of bars to keep you busy all day and night. If you are looking for cheap and quality goods from the local street shops then you can visit Rua Jose Paulino. There are several stalls and street shops where you can find a range of good quality products in cheap rates. Sao Paulo offers several tourist locations to relax and enjoy. Pack your bags today and book cheapest flight tickets to Sao Paulo from London with Skyjet. Being one of the largest cities in the world, Sao Paulo is a hub for fashion, business and politics. Almost all the Paulistanos are hard-working and talented in various fields. The population in Sao Paulo is a mix of Spanish, Japanese, Portuguese and German immigrants. Due to the range of diverse communities living in Sao Paulo, you will find different types of cultural events, cuisines and festivals celebrated in this city. Though the city is battling hard with the increasing traffic and poor city planning, thousands of tourists visit Sao Paulo every year. The night life and exciting beaches in Sao Paulo offers exquisite range of local cuisines and delicacies. The climate condition in Sao Paulo is humid subtropical climate similar to Los Angeles and Australia. Sao Paulo is hottest during the summer which is from January to March. The winters are cool but it is comfortable and the temperature ranges from 11 to 23 degrees. Most of the tourists plan their tour during June to December when the temperature is cool and several events take place during this time. If you are looking for lower room rates and cheaper flight tickets to Sao Paulo then you should choose the off peak time which is from December to February. 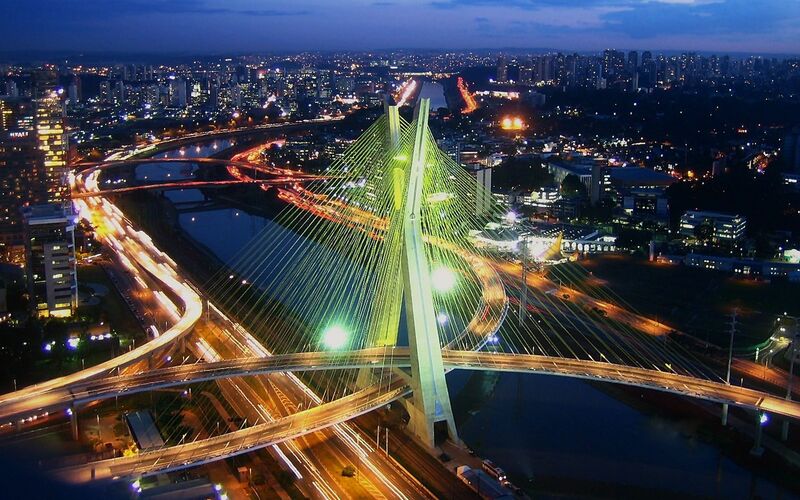 Choose Skyjet and get the best flight ticket deals from London to Sao Paulo. Call us on 0207 183 4991 and talk to our friendly support staff who are happy to help you in booking flights or any other question about your travel needs.